Once again this year Bordeaux City Bond will be present during the “Primeurs” event to be held from 4 to 7 April 2016. During the entire week, the team from Bordeaux City Bond will be available on its Blanquefort site, to meet all those clients who wish to take advantage of their visit to the region to see their stocks. It is also an opportunity for any potential clients to visit the warehouse, the ideal occasion for them to be reassured that they will be choosing a storage solution that is both ultra-secure and totally confidential. On 7 March last, we were delighted to welcome Julian Poh, Director of the Singapore-based company BORDEAUX LIQUID GOLD, together with a number of his clients, who had come to visit some of the region’s most prestigious châteaux. His clients were not only able to enjoy the privilege of seeing their cases of wine, but were also the first to visit our new, freshly completed, tasting room. Later in the day, dinner in one of the private rooms at the Bordeaux Chamber of Commerce offered the perfect moment to discuss current and future perspectives. 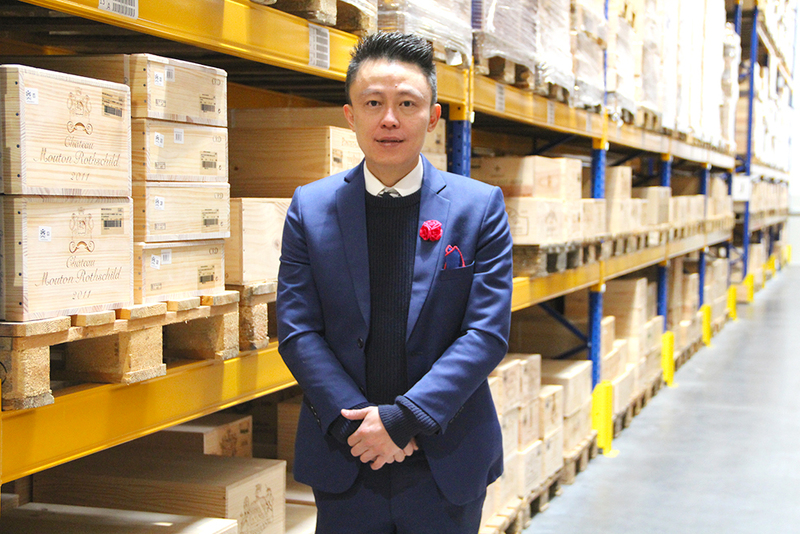 “Our ambassador” as we like to call him, Julian Poh, was kind enough to give us his opinion of our warehouse and our services during a short interview. 1) Why did you choose Bordeaux City Bond as a storage solution for your wines ? We choose Bordeaux City Bond because of the expertise of the Team in handling all the wines with very impressive first class storage facilities that comes with proper regular inspection to ensure best services during storage . Bordeaux City Bond also further gain our confidence by being the majority shareholders from the Bordeaux Chamber of Commence and wine industry negociants and Vinexpo. 2) What are the advantages for your customers to have a sub-account in Bordeaux City Bond ? Sub – account are extremely useful and beneficial to the clients as they can manage their own orders online with 100% guarantee to keep their informations confidential . The webvin 24/7 makes it very accessible for clients who wish to view their wines any time they need to. 3) Could you please qualify Bordeaux City Bond in 3 words? In response to an increasing demand for certificates of origin, for both wines and champagnes, Bordeaux City Bond, through the Bordeaux Chamber of Commerce, has now implemented a new service and is now able to issue a certificate of origin when this is requested by the customer. A “silent march” was held in Bordeaux on 14 February last for the “protection of our children”. Some 600 people joined a march through the streets of the city to protest against the use of pesticides, vine growing being the cause of repeated spraying, particularly of fungicides, to combat the traditional diseases that attack the vines. 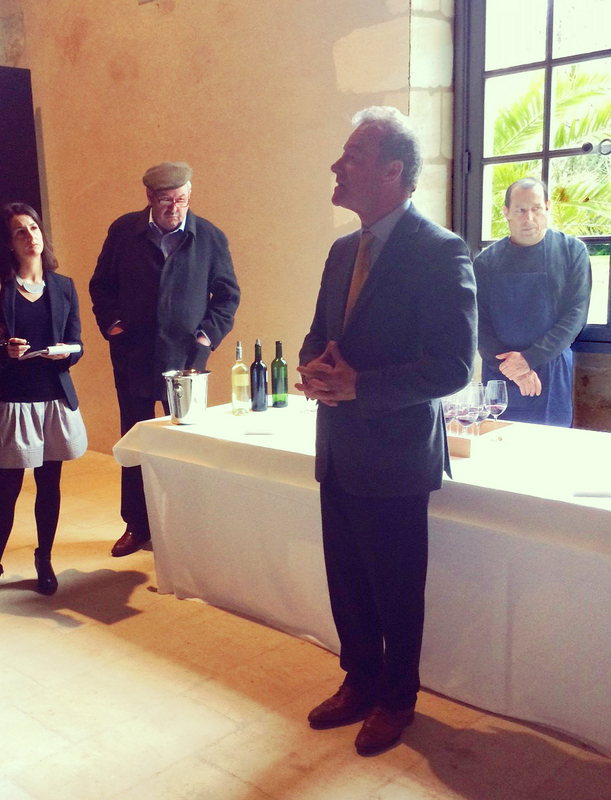 We would like to pay tribute to Paul Pontallier whom we met on the occasion of a wonderful visit to Château Margaux during the “Primeurs” event in 2014.